New... Dru Yoga workshops in 2019! We are now offering Dru Yoga workshops across New Zealand throughout 2019. So why not join us for a workshop in your area? Welcome to the New Zealand page of the Dru Australasia website. Dru Australasia is now offering Dru Yoga workshops and teacher training courses in Aotearoa and local graduates of the Dru Yoga Teacher Training offer Dru Yoga classes around our land. So why not join us for a class, enjoy a workshop or even sign up for our next Teacher Training course. Transform your life and help change our world! Hello I’m Sue. I first came across Dru in 2000. It was the quiet strength, authenticity and integrity of the teachers that attracted me to Dru. I studied Dru Yoga and Meditation in Australia and have now been teaching and sharing Dru for 14 years. 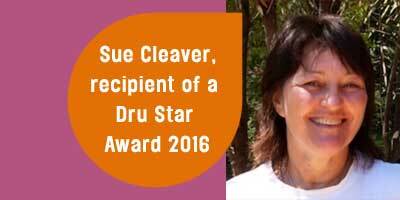 My vision was to bring Dru to New Zealand and in 2014 Dru Australasia brought the first Dru Yoga Teacher Training course over the Tasman Sea to Motueka, Nelson. I am the New Zealand Regional Manager and I work with an amazing local team who support the vision of expanding Dru throughout Aotearoa. Train as a Dru Yoga Teacher in New Zealand - our next course starts April 2020! The first Dru Yoga Teacher Training (DYTT) in New Zealand started in Motueka, Nelson in October 2014 and completed in July 2017. With over 30 students from all over the country attending the course this means many more people now have access to Dru Yoga. As interest grows and people discover how Dru works so effectively on body, mind and spirit we are already planning Aotearoa's second Dru Yoga Teacher Training. The next training will start in April 2020 with lead-up workshops held around New Zealand. So why not register your interest for the workshops and give yourself the opportunity to delve into Dru. Live your dreams, join the next DYTT course in New Zealand! 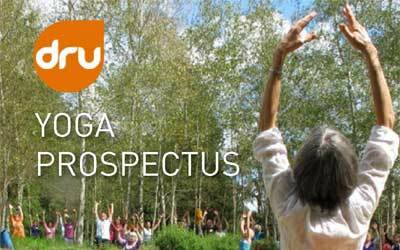 For the Dru Yoga teacher training course format including the yoga course content, Dru teacher training qualification and continuing professional development please download the Dru Yoga teacher training course prospectus (pdf 1.2MB). What I am noticing is that the practice not only strengthens me to " bear up " when I need to ....be more discerning....see the big picture....love wholeheartedly ....but also to - more gracefully, willingly and truthfully accept the light within and the increasing desire to shine and share. Dru comes from the Sanskrit word dhruva, which refers to the stillness that can be experienced in Dru Yoga and Dru Meditation. In the stillness we are able to sit back from everything happening around us, and see and act from a point of clarity and inner calm. Dru - the perfect antidote to stress. Whatever your day has brought you, a Dru Yoga or Meditation class is just what you need! A Dru Yoga or Meditation class is the perfect way to unwind after a stressful day. Our Dru teachers will help you to strengthen your body and calm your mind resulting in a happier, healthier you. Using classical yoga postures, Energy Block Release sequences, Dru Yoga postures and sequences, breathing and meditation techniques and soothing relaxations we help you keep mind, body and soul healthy and in balance. So whatever your age and ability or shape and size, Dru Yoga and Meditation will suit you. Whether it is in a class situation or a private 1 to 1 session where you will have a session tailored to your own individual needs, you will benefit. Maybe you want to become a yoga teacher or perhaps you just want something for yourself. Sue and the team in New Zealand are looking forward to meeting you. Still not sure? Just come along to a session and leave refreshed, relaxed and rejuvenated. Contact us today to see how we can best support you and your yoga journey. We would love to speak to you! Yoga Online - when you want it... where you want it! No Dru Yoga Classes in your region of New Zealand?